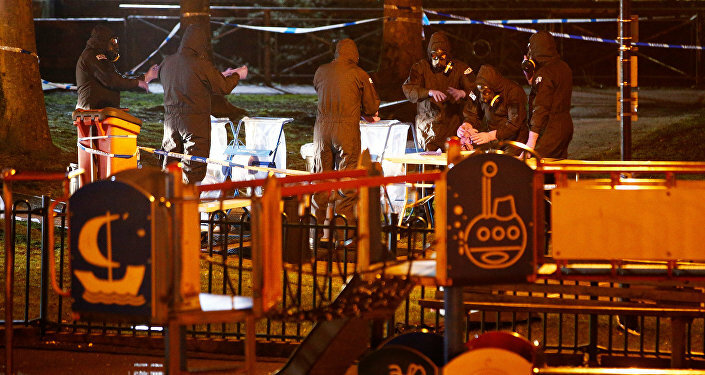 The US sanctions are a response to the poisoning of Russian-British double agent Sergei Skripal and his daughter Yulia in Salisbury, England, in March and the seemingly related incident in July that left a woman dead and sent her partner to the hospital. Since the UK had almost immediately responded to the Skripal incident by expelling Russian diplomats and pressuring other countries to follow suit, it's not surprising that the British government supported the latest US action against Russia, saying in a statement, "The strong international response to the use of a chemical weapon on the streets of Salisbury sends an unequivocal message to Russia that its provocative, reckless behaviour will not go unchallenged." Once again, Russian representatives responded quickly. Dmitry Polyanskiy, first deputy permanent representative of Russia to the UN, summed up Russia's apparent frustration when he tweeted, "The theater of absurd continues. No proofs, no clues, no logic, no presumption of innocense, just highly-liklies. Only one rule: blame everything on Russia, no matter how absurd and fake it is. Let us welcome the United Sanctions of America! #SkripalHoax"
This comes after The Guardian reported last Monday that the UK planned to ask Russia to extradite two people they claim were responsible for the attack. At press time Friday, however, the UK had not done so. 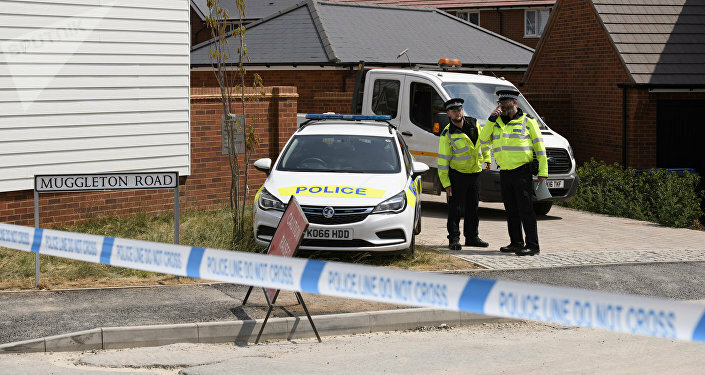 With the US and UK governments calling for harsh action over an incident that Russia says it had absolutely nothing to do with, Washington and London could not be further from Moscow when it comes to the issue of the Skripal and Amesbury poisonings. The UK and US media, meanwhile, have reported dutifully on the sanctions but to have failed to do their jobs at providing the public with clarity on the much more complicated and unresolved story of what happened in Salisbury. A new story from GQ titled Inside the Poisoning of a Russian Double Agent shows the problem with the reporting: even though author Tom Lamont went to Salisbury and interviewed a number of authorities, his story provides a fair amount of detail but nothing new in the way of proving a Russian connection and actually fails to even address the existence of contradictions in the "official" story from the UK and US. And as you'll see, there are many contradictions. While the US and UK governments are acting as though the Salisbury and Amesbury poisoning cases have been proven, the citizens of those countries appear to still have a lot of questions. The comment sections of articles about the Skripal and Amesbury indicidents (the ones that allow comments, that is) show a public that's very skeptical, something else that the new GQ article doesn't let reflect upon, either. These comments from a recent article on the Skripal case in the UK Independent give a sense of how many people view the story. "My Dear Old Mum would say to me ‘A liar needs a very good memory.' She could also have added ‘and a very good solid story.' It is quite amazing how flimsy is the story coming from the grubbiment over this." And this: "Elsewhere on this website today we read that almost half of all criminal investigations are closed with no suspect identified, and that the proportion ending with someone being charged or summonsed to court fell to just 9 per cent in the year to March. But not when there's a chance of pinning it on a Russky, eh? 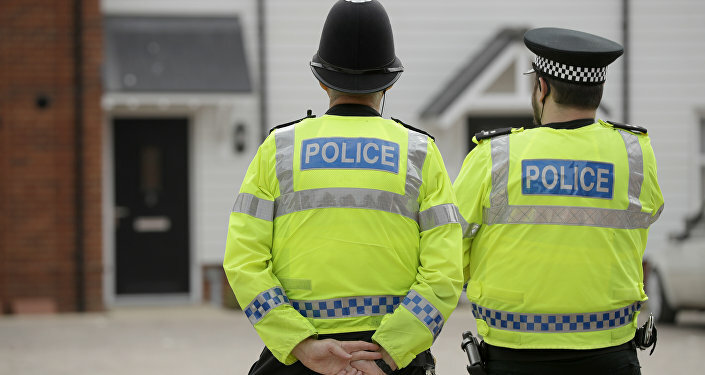 The police need to concentrate on real crimes that affect British people, not waste their time supporting government anti-Russian propaganda stunts." 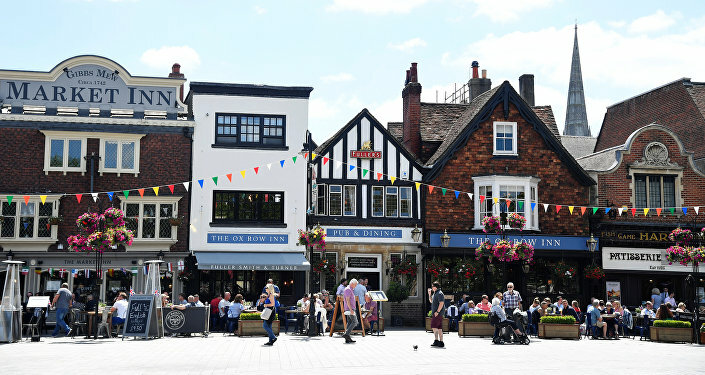 There's no place where the skepticism is so obvious (or more important) than in Salisbury itself, as I found a few weeks ago when I visited the small city in Southern England where the story began. The public skepticism is understandable, because as you're about to see, the official story presented by the government raises a number of red flags for any critical news consumer. My recent visit to Salisbury shows that major portions of the city are still shut down to the public, guarded by police that have been brought in from out of the area, and townspeople that do not believe the government's narrative. One town resident I met in Salisbury and then interviewed on my radio show, Fault Lines with Nixon & Stranahan, describes the entire situation as "weird." Weird is a very accurate description of the Salisbury/Amesbury poisoning story. Let's start at the beginning. Back on March 4, Russian-British double agent Sergei Skripal and his daughter Yulia suddenly fell ill after spending much of the day in downtown Salisbury. 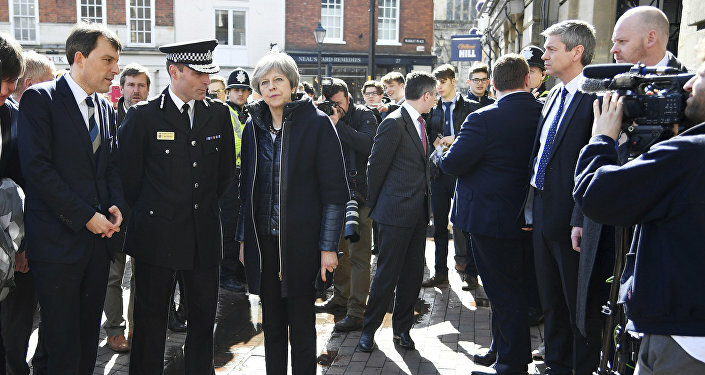 Within days of that incident, the Skripal poisoning became an international story, as British officials including Prime Minister Theresa May not only blamed the Russian government but actually went straight to the punishment phase and dismissed Russian diplomats while the police investigation was still ongoing. A statement issued by the prime minister on March 12 squarely blamed Russia. "Mr Speaker, there are therefore only two plausible explanations for what happened in Salisbury on the fourth of March. Either this was a direct act by the Russian state against our country or the Russian government lost control of this potentially catastrophically damaging nerve agent and allowed it to get into the hands of others." The investigation itself, however, raised more questions than it answered. These questions begin with the description of the alleged nerve agent as "Novichok." The initial reports said that the Skripals had been poisoned by a nerve agent that could only have been produced by Russia and that was so deadly it caused a horrible death within minutes. "Gary Stephens, a pharmacology expert at the University of Reading, said Novichok ‘is a more dangerous and sophisticated agent than sarin or VX and is harder to identify.' It has been reported that Novichok agents are five to eight times more lethal than VX, which was previously thought to be the world's deadliest nerve agent. Prof Stephens said Novichok agents cause a ‘slowing of the heart and restriction of the airways, leading to death by asphyxiation.'" Since the Skripals both survived, and since Yulia seems to have made a full recovery, much of this initial doomsaying has been sent down the memory hole or revised. But even the name "Novichok" itself is questionable. The term Novichok isn't a term that the Russians use; the name of agent in questions is referred to as "Substance 33," "A-232" and "А-234," but none of those names sound as menacing and, well, Russian as "Novichok." The story was that only Russia could produce Novichok, and news sources like AFP turned to Russian chemist Vil Mirzayanov, author of the book "State Secrets: An Insider's Chronicle of the Russian Chemical Weapons Program" and by his own admission one of the developers of Novichok, for answers. Mirzayanov told AFP, "Only the Russians" developed this class of nerve agents… They kept it and are still keeping it in secrecy." AFP did not tell its readers that Mirzayanov had actually revealed the formula for "Novichok" in that book of his. The Russian chemist had listed the chemical formula himself years ago in his book. The book is still available right now for $8 on Amazon. Sure enough, Mirzayanov himself confirmed in a different interview with Voice of America on March 15 that the "only Russia" narrative was false. Could the British have made the nerve agent, perhaps at the nearby Porton Down chemical weapons lab? As Mirzayanov told VOA, "The British could easily have synthesized it on the basis of the formulas that I published in my book." 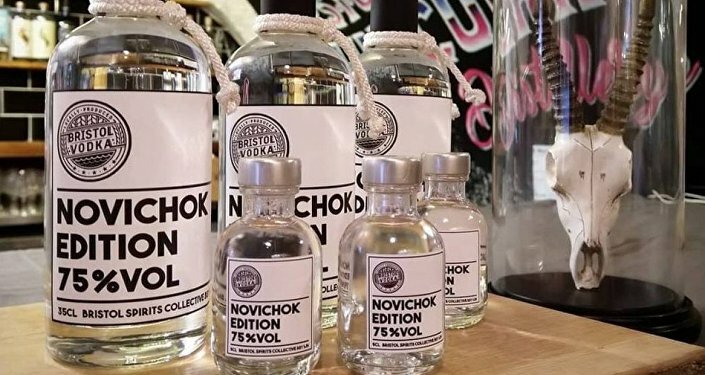 Logically, if the British could have created their own batch of "Novichok," so could the United States, the Russia-hating government of Ukraine or a rogue terrorist actor with some basic knowledge of chemistry and access to an Amazon account. The nerve agent could have been made by a thousand different potential suspects, but the establishment is still trying to push this story, as is the case with the story hot off the presses from GQ, in which Lamont throws out the same false info about how difficult Novichok is to make. "A senior source in the British government outlined for me the thinking in London that first week: ‘When you look around the world, there are very few countries that could technically do this. Iran. China. North Korea, conceivably? But they don't necessarily have the means or the motives, and we've never had the intel they've even tried.'" GQ is still using the same "Russia only" argument, even though the go-to media expert that actually helped create it in Russia said openly that a country like England could "easily" make the nerve agent since he'd published the formula in a book. The details of the nerve agent itself weren't the only aspect of the story that changed. Even the official explanation of how and where the Skripals were poisoned went through a host of changes. Two days after the incident, the British media was floating the idea that the drinks the Skripals consumed at the restaurant Zizzi were poisoned. Then it was reported the Skripals must have been poisoned by the Novichok nerve agent being smeared on the door of Sergei Skripal's car. Then the story became that the poison must have been placed in Yulia Skripal's luggage, then that the poison came through the air conditioning system of their car. Eventually, reports claimed that the poison was in a gel form put on the doorknob of the Skripal residence. Click those links and you'll see the shifting story wasn't being reported this way by rumor mongering locals or by fringe news sites but by established media like AP, Reuters and The Telegraph, who were printing stories based on "sources" in the government. "That two notices were issued has been confirmed by the ‘D-Notice' Committee. The Committee, which is jointly staffed by government officials and mainstream media representatives, has recently changed its name to the ‘Defence and Security Media Advisory (DSMA) Committee'. The use of the word ‘advisory' is no doubt a bid to discourage the public from thinking that this is a censorship committee. However, the DSMA-Notices (as they are now officially called) are one of the miracles of British state censorship. They are a mechanism whereby the British state simply ‘advises' the mainstream media what not to publish, in ‘notices' with no legal force. The media then voluntarily comply." These D-Notices and the swift punishment of Russia by the UK, the US and the other countries that they'd talked into sanctions effectively shut down any real reporting that attempted to get to the bottom of the underlying facts about what really happened in Salisbury. As former MP and talk radio host George Galloway told me when I was in England, "If you go out to Salisbury and ask a few questions, you'll be doing more investigative reporting on the story than the entirety of the British media." From the start, the facts in Skripal case didn't add up, but the facts didn't matter. The UK led an international drive, with the help of the EU and NATO, to expel Russian diplomats over the Skripal poisoning. Nikki Haley, the United States' UN ambassador, made a statement on March 14, just 10 days after the initial incident with the Skripals, blaming Russia and saying, "If we don't take immediate, concrete measures to address this now, Salisbury will not be the last place we see chemical weapons used. They could be used here in New York or in cities of any country that sits on this council. This is a defining moment." But the biggest shock was yet to come: the Skripals both survived. That's right, the nerve agent that media reports had all said was five to 10 times stronger than sarin or VX failed to kill anyone. Maybe with the Skripals alive, the public would finally get answers? Fat chance. The Skripals were immediately moved from the hospital after they recovered and kept from the press and the public. With a look at the statements Yulia Skripal made after she recovered, the strange story gets even stranger. On April 5, Russian media released a phone call that been recorded between Yulia Skripal and her cousin Victoria. A story about the call on German news site DW notes that Yulia "gives no details on last month's poisoning in Salisbury," and part of the transcript shows Yulia acting strangely nonplussed. Viktoria: "Oh thank heavens…. Dear God… Yulyash (fond name), you are…. is everything ok with you?" Yulia: "Everything is OK, all's well." Viktoria: "Look, if I am granted a visa tomorrow, I'll fly to see you on Monday. So, well —"
Yulia (interrupting, calmly): "No one will give you a visa, Vika." Just as Yulia predicted, Victoria was not granted a visa. In fact, UK authorities turned down Victoria's visa application twice, with no explanation given. In April, Yulia Skripal read a prepared statement in a strangely stilted video presentation. Then in early July, the transcript of another phone call between Viktoria and Yulia was released. 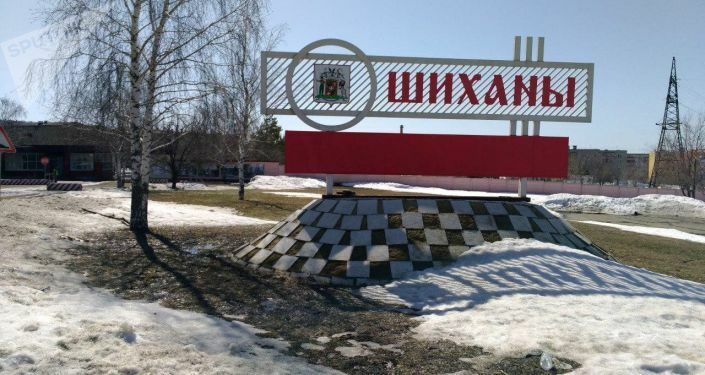 In this phone call, Yulia appeared to be angry at her cousin for a very odd reason: Yulia seemed to be under the impression that Viktoria was the source of all the publicity about the case. Then in late July, another phone call with cousin Viktoria showed a change in attitude and an apology with chilling implications about what Yulia Skripal has been told. As the Daily Mail reported, "According to Viktoria, Yulia told her this week: ‘I finally got internet, and I read everything. I understood everything. Forgive me.'" From the moment the Skripals were locked away from their family with the help of the CIA, any probing questions about the confusing, contradictory narrative were dropped by the media. Then, months after the Skripals took ill, it happened again —whatever "it" is — and this time, there was a fatality. On June 30, 2018, Charlie Rowley and Dawn Sturgess were brought to the same local hospital that the Skripals had been taken to in March. The initial cause was thought to be contaminated drugs. As Detective Sergeant Eirin Martin told SpireFM in a story published on July 2, "At this stage we believe the two patients have fallen ill after using from a contaminated batch of drugs, possibly heroin or crack cocaine." "Of course, we would always advise against the taking of any illegal drugs, but, following the incident over the weekend, we are urging drug users to be extra cautious." That began (another) evolving story, which led to more condemnation of the Russians. On July 6, the British Home Secretary accused Russia of using Britain as a "dumping ground" for nerve agents. On July 8, Dawn Sturgess was taken off life support and died. Like the Skripals, Sturgess' partner, Rowley, recovered, however, and was released from the hospital. In an interview with ITV, Rowley gave details on what might have happened, saying that he "had found a sealed box in a cellophane wrapper containing a perfume bottle some days earlier" and that "it was a product Dawn recognized, as a product that was quite out there and known. It's very strange. It's quite scary to think that something can be disguised in that manner and left to be found in public." The interview should have answered a number of questions. Instead, it just deepened the mystery. Rowley said that police had originally told him that the contents of the bottle were, in fact, perfume. "When I came round, weeks after, the police were talking to me and they mentioned a bottle they found in the flat. They ran tests on it and I could pretty much guarantee the contents of the bottle was perfume and it was nothing to worry about. They ran tests on it and I was in complete shock when they told me it was Novichok." This isn't a normal case of more facts being revealed over time. The basic tenets of the story have shifted time and again, with international implications. With all the confusing and conflicting information on the story, I wanted to visit Salisbury and see what I could find out for myself. While in England, I wanted to clarify one incident that I'd been interested in for months: the apparent statement by a doctor at the Salisbury hospital that nobody — not even the Skripals — had been impacted by a nerve agent. Were it true (and it's not, as you'll see), it certainly would turn the entire story upside down. The statement had come in a March 16 letter to the Times of London by Stephen Davies, a consultant in emergency medicine, that said, "Sir, Further to your report (‘Poison Exposure Leaves Almost 40 Needing Treatment', Mar 14), may I clarify that no patients have experienced symptoms of nerve-agent poisoning in Salisbury, and there have only ever been three patients with significant poisoning. Several people have attended the emergency department concerned that they may have been exposed. None had symptoms of poisoning, and none has needed treatment. Any blood tests performed have shown no abnormality. No member of the public has been contaminated by the agent involved." I contacted Davies, and he wrote back to me with the following explanation, quoted in full here: "I did write a letter to the Times, but their poor editing of the original letter produced a misleading message. The three patients in March were poisoned with a nerve agent, confirmed by blood tests and symptoms. My point was that none of the subsequent patients who attended with concerns turned out to have nerve agent poisoning. The article elsewhere in the same edition of the paper explained my points more correctly." So, in a case of contradictory statements, there's one less apparent anomaly; Davies says the Skripals and the police officer were poisoned by a nerve agent of some type. After I covered the Trump/Putin summit in Helsinki, I flew to London and made the two hour journey to Salisbury by train to see for myself how the incidents were impacting the town. Salisbury itself is a small city, with a total population of about 40,000 including the surrounding rural areas. Its parliamentary district of Salisbury has existed since the 1300s. It's about 15 minutes from the legendary Stonehenge and about a half hour from the ancient city of Bath, where the Romans built baths in 70 AD. I spoke to 16 residents of Salisbury of different ages, genders and ethnic backgrounds. None of them simply took the government's story on poisonings as the whole truth. Local barista Gracie Slater would see the Skripals come into the coffee shop she manages and told me she didn't believe the government's official explanation. "I think that they're just making up a story to tell the residents. They're scaremongering everyone. They're trying to make out that it's a bigger thing than what it is. I don't believe that it was the Russians in the first place." Zizzi is the restaurant that Skripals ate at just prior to leaving and then collapsing, and while the restaurant is right in downtown Salisbury and next to an open, operational Tesco Supermarket, Zizzi remains closed. It is covered and guarded around the clock. The barricades are visible all over Salisbury, blocking the buildings where the Skripals went that day, and they are strangely commercial. As Slater told me, the barriers covering up the crime-related sites are "literally promoting [Salisbury]. It's got pictures of the shops and pictures of happy people walking. And they didn't even wait that long until putting that up. It's all… it's just weird. It's so weird. " The atmosphere is impacting the locals. Slater said about half the residents she talks to think the situation is overblown, and "then half of them are actually really scared. They don't want to take their kids round to the park. A lot of people aren't coming to Salisbury. My mom hasn't come into Salisbury because she's been scared about walking into town." Just a couple of blocks from Zizzi in Salisbury, I see a street closed off and blocked by two uniformed officers. I learn that a house at the end of the street is where Dawn Sturgess lived. Across the street, a shopkeeper stands in front of his empty convenience store. The shopkeeper is an immigrant who says he's lived in the area about five years. He knew Sturgess, he said, and although it was obvious she had substance use issues, he said she was a friendly person and he liked her. The shopkeeper and I talked about the political situation in his native Turkey and discussed the situation with the Kurds there. I ask him how the poisonings have impacted business, and he frowns as he makes an arcing, downward motion with hand. "The business is dead, too. Gone." Another interesting reaction in Salisbury has been open racism against Russians, like the Skripals. As Slater told me, "The reaction that we've got from people is very much that [Russians] don't belong here." Prior to the investigation's focus on the door handle, for a period of almost three weeks there were at least nine other theories proposed by the authorities as to where the Skripals came into contact with the poison. These included the restaurant, the pub, the bench, the cemetery, the car, the flowers, the luggage, the porridge and even a drone. During that time, police officers and investigators were entering and leaving the house, by the door, since it was not known to be the place where the poison was located. Can the authorities explain how these officers and investigators were not poisoned? Every officer who entered the house after 4th March, and before the door handle became an object of interest, should have been given a medical examination to check for signs of poisoning. Can the authorities confirm that this took place for every officer? On 17th March, Metropolitan Police Assistant Commissioner Neil Basu said: "We are learning more about Sergei and Yulia's movements but we need to be clearer around their exact movements on the morning of the incident…." Can the authorities confirm that the movements of the Skripals that day are now understood, and that they will be made known shortly, in order that more information from the public might then be forthcoming? These are important questions, but for some reason, neither the British nor American media are asking them. But the sanctions go on. The author is Lee Stranahan, cohost of Fault Lines on Radio Sputnik.